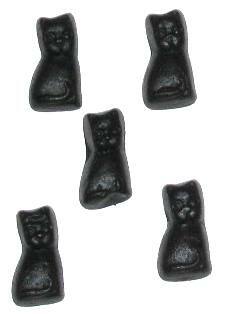 Katjes Drop is the classic cat shaped licorice. These Katjes are semi hard and chewy. Imported from Holland. Also try our other brands of imported Katjes drop from Holland, Venco Katjes and Katja Katjesdrop.